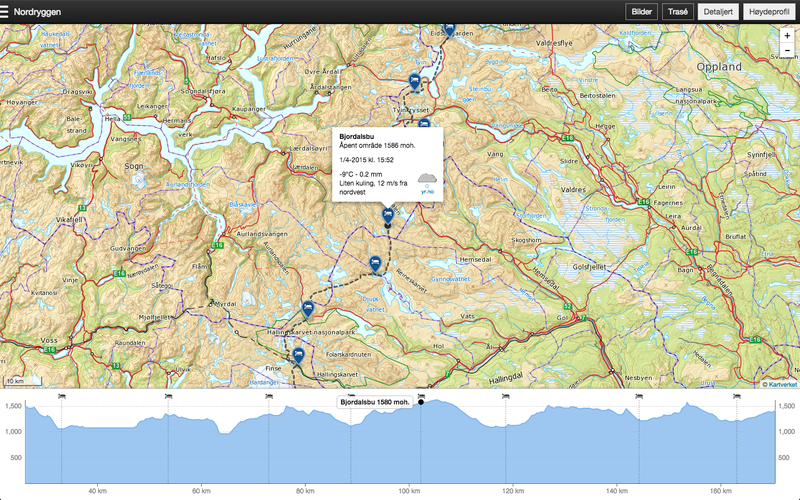 master maps: Real time satellite tracking of your journeys - how does it work? 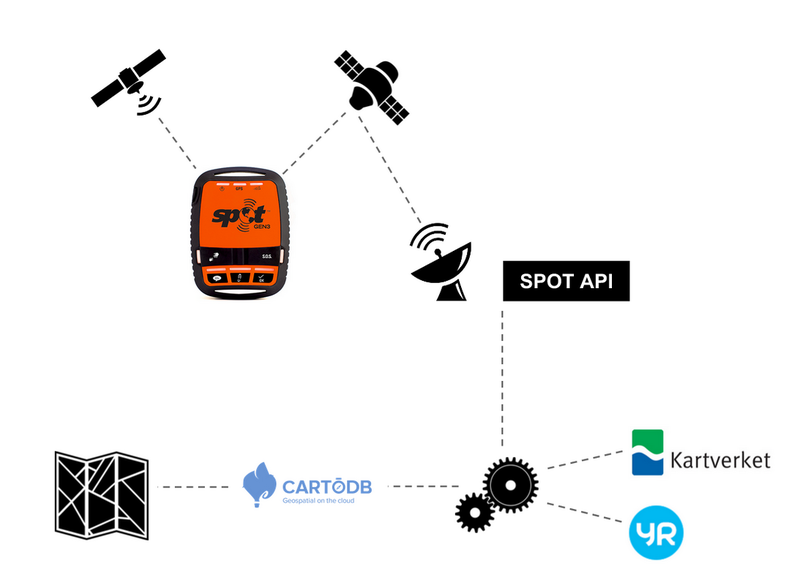 Real time satellite tracking of your journeys - how does it work? I'm back in Oslo after my 25 days ski trip across Nordryggen in Norway. It was a great journey, and I would highly recommend doing all or parts of it if you enjoy cross-country skiing. Just be prepared for shifting weather conditions. @thematicmapping @mapperz I thought “cross country” skiing meant ski across the countryside, but you have literally crossed a whole country! The goal of the trip was also to test my solution for real time satellite tracking, explained in several of my previous blog posts. It worked out really well, and people were able to follow along in the comfort of their sofa. 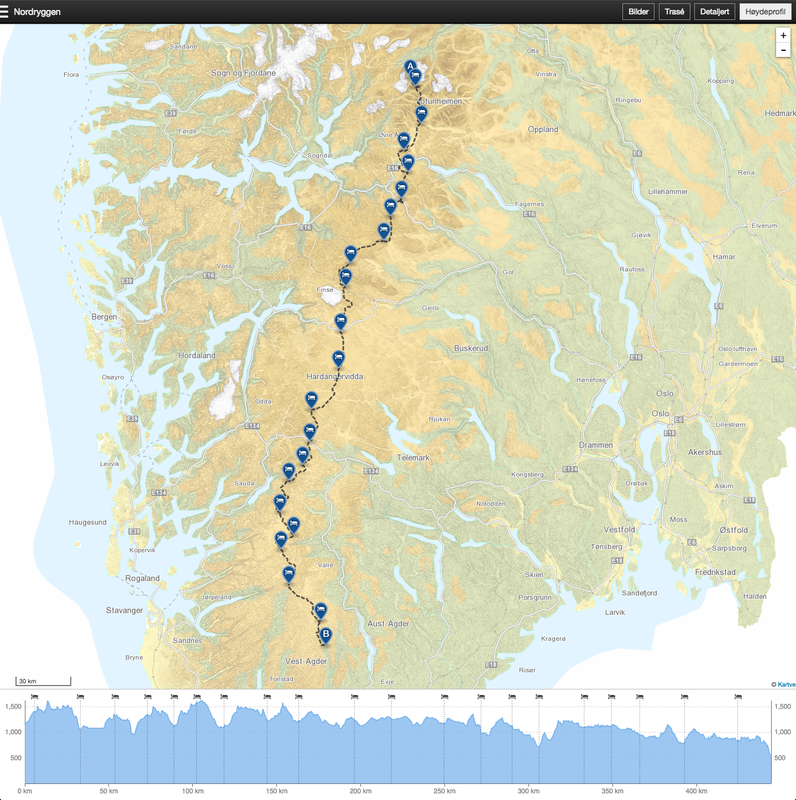 My map and elevation plot of the 25 days ski trip across Nordryggen. Most of the trip is above tree line, and there are only 5 road crossings in total. to retrieve the altitude, nearest place name and the terrain type. Earlier this winter, I experienced that the service did't return any altitude if I was skiing on lakes, so I'm using the Google Elevation API to avoid gaps in the elevation profile. By knowing the time and location, I could create an automatic service to obtain more information to enrich the map. In addition to elevation and place name, I've added a weather report. The image show Bjordalsbu, the highest lying hut on the route 1586 m, which we visited in a strong breeze. While skiing, I used Instagram to post photos that would instantly show on the map as well. This required mobile coverage, which is sparse in the mountains. After the trip, I synced my camera photos with my GPS track to be able to show them along the route. 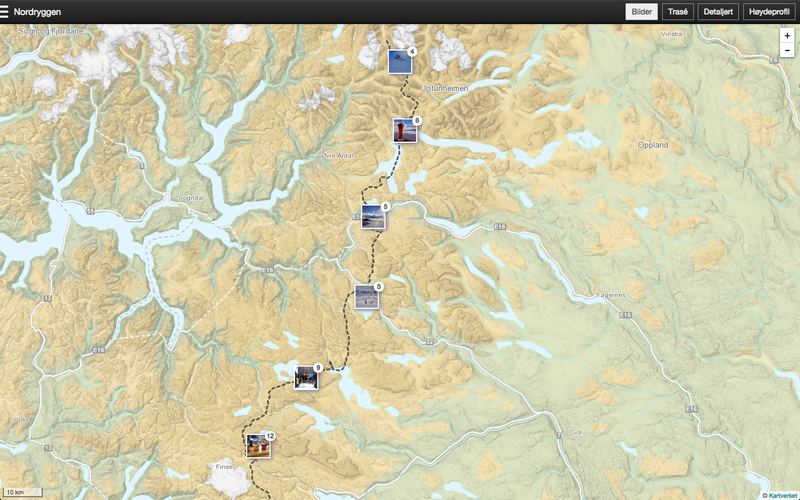 Click "Bilder" in the top menu to see the photos along the route. End of trip - and the snow - in Ljosland. More photos in my Google+ album. Beautiful project! Thank you for the post. This summer I will sail around Åland archipelago and will use a raspberry pi (with a camera module) & GPS receiver & Twitter API. I might also get some inspirations from your work.